Lately I have been playing more mobile games when I’m waiting for classes to start, and I never thought I’d really enjoy them as much as I do. It’s nice to be able to play them casually and not need a lot of effort or time devoted to them. They’re quick games on the go that are quite a bit of fun too. Here are the ones I’ve been playing lately. Mystic Messenger starts out with your Avatar being messaged through an online forum by a mysterious individual. You’re convinced to enter the apartment of a recently deceased woman who was the leader of an organization that held parties for good causes. You take her place and start planning new parties with the old members, receiving various degrees of trust. The game is very dialogue heavy, but it’s very enjoyable as you start to learn more about these characters, and can even romance them. On the surface, there’s little going on, but there’s also an element of mystery and secrets that make everything a lot more interesting. I really enjoyed the interactivity with the characters and the story. I really want to beat Mystic Messenger to get the full story, because the first time I played it, I only got through the first give days before getting the bad ending. Unfortunately, the game requires a considerable amount of play time to successfully navigate the story and socialize with specific characters that you want to romance throughout the day. And if you don’t have time, you need to pay for more in-game time to watch those invaluable scenes, because they inevitably add more to the narrative. In addition, when planning the parties, you have to email the guests and send correct responses to their questions to ensure that they come. This really can’t be done well without a guide, which adds an element of labor to an otherwise casual, fun game. Despite the fact that I don’t have the proper free time to beat the game, I really enjoyed what I did play of it. The dialogue is amusing, the characters are entertaining, the story is intriguing despite its seemingly innocent presentation, and the music is excellent. 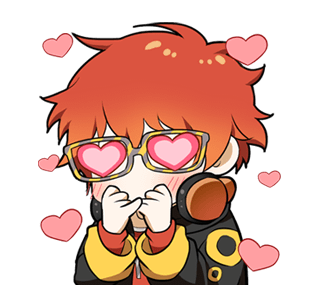 If I had the time or money, I would love to spend more on Mystic Messenger to see the end result (I want to romance 707, dammit!). Score: 3.8 chibi 707’s out of 5. Fire Emblem: Heroes is so cleverly designed that on more than one occasion, it’s given me the urge to replay Awakening and start Genealogy of the Holy War. At the same time. FE: Heroes is basically a condensed, mobile version of everything enjoyable about the Fire Emblem series—character recruitment is important to building your team. You summon new characters with orbs, and the price for doing so is quite low. It takes 20 orbs to summon 5 characters at a time, and as the cost gets lower, the chances for getting a high-star character do too. I’ve had a lot of luck with this game, and I feel encouraged to spend orbs on events multiple times because of how easy the orbs are to come by. One thing I thought was an interesting decision at the outset was the vast variety of different art styles the characters are drawn in. It’s sort of fun to see so many different art styles, and it does update the aesthetics of characters from the early games really nicely. I don’t have a lot of negative things to say about this game. The difficulty can spike in really weird spots, and the experience points start to become harder to gain at higher levels. It’s not unlike the original games, but sometimes it can make leveling up extremely difficult. The stamina is also very low, and it limits what players can do. None of these are game-breaking aspects of the game, and is more the result of the type of game it is. FE: Heroes is much more simple and easy than the standard Fire Emblem game, and the story is minimal as well, but I enjoy recruiting new characters and giving them new abilities that I don’t mind it. The different art styles are all so unique and gorgeous to look at. I really enjoy FE: Heroes a lot and look forward to seeing what else it has to offer in the future. Score: 4.5 badass Seliphs out of 5. My current team, created by pure luck and led by a cool prince who hits like a truck. That’s a nice Fire Emblem team you have assembled. My trio of five stars are adult Tiki, Camilla and Eirika.